Capturing and managing new client data can be a lengthy process, especially when it involves a lot of back-and-forth communication. However, it’s an unavoidable and important task, so finding an efficient way to manage the process is essential for your teaching business. An effective way to streamline data capturing is to put the admin in the hands of your clients. How? The first step is to find good tutoring management software that offers an application form feature. This type of feature will allow prospective clients to fill in their details in their own time and will automatically convert their application into a profile within the software. Finding software that will let you update these profiles through a custom form is a bonus. Custom Enrollment Forms: This add-on lets you create fully customized forms that can be added to your website or emailed to prospective clients. New profiles are automatically created in Teachworks based on the information entered by the client. Custom Form Invitations: This add-on lets you to send invitations to clients to update their existing profile through a custom form. * These features are not limited to collecting and managing client data, you can also use it for employees. The bulk of the admin is handled by your clients, so there is no need for your employees to spend hours on capturing and confirming information. There is no need to capture data twice since information is automatically converted into profiles or merged into existing profiles. You can easily create form variations for different scenarios. This will help to ensure that clients are not overwhelmed by numerous fields that are not relevant to them and will encourage them to complete forms in a timely manner. You don’t have to enable user accounts to let clients update their information. You can customize the expiry date for form invitations (this is especially useful if you need information urgently). This add-on allows you to easily gather information about new students and their parents through a fully customized enrollment form. When adding a new form for clients, you can choose between a family form that includes a section for child students, or an independent student form. You can customize the fields that appear on each form, mark certain fields as required and even expand the form with custom fields. In addition, if you’re using our Stripe Integration, you can add credit card fields to the form to gather credit card information easily and efficiently as soon as a new client signs up. Each custom form that you create will have a custom URL and you can add these as text links or buttons on your website. Alternatively, you can email the link to prospective clients to complete. When a form is completed and submitted, a corresponding profile is created in Teachworks automatically. These new profiles are added under the “prospective” tab, and the only effort required is to activate them. If you’d like to quickly spot new student enrollments as soon as you login to Teachworks, you can add a widget to your dashboard. Interested in using custom enrollment forms for your teaching business? Below are some resources to help you get started! While it’s possible to send invitations to clients to update their information through your existing Custom Enrollment forms, we recommend adding new forms exclusively for updating profiles. 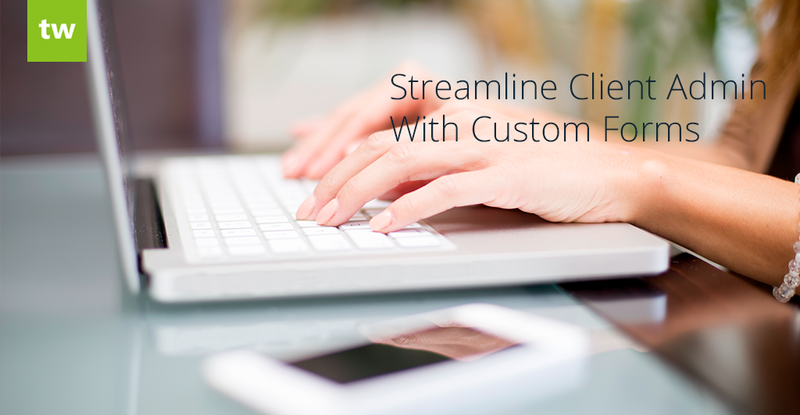 This will allow you to customize the form instructions, completion message and other elements to target it to existing clients. To streamline and simplify the copying process, we’ve added another new feature! You can copy an existing form by going to Account & Settings > Integrations & Add-Ons > Custom Enrollment Forms > Manage. On this page, click on the copy icon next to the form that you’d like to copy. Edit the “Form Title”, “Form URL” and other elements as needed.